US Central Command (CENTCOM) spokesperson Col. Patrick Ryder said that the liberating the Syrian city of Manbij will further reduce Daesh’s hold on the region and, importantly, cut key route for Daesh. 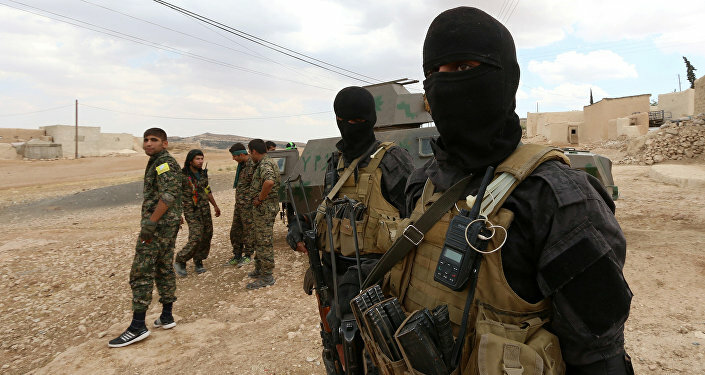 WASHINGTON (Sputnik) — The successful offensive by the Kurdish-led Syrian Democratic Forces (SDF) on the Syrian city of Manbij could liberate up to 40,000 people from the rule of the Daesh, US Central Command (CENTCOM) spokesperson Col. Patrick Ryder said in a Twitter message on Friday. "Liberating Manbij will further reduce ISIL’s hold on the region and, importantly, cut this key route to prevent #ISIL from using it," Ryder stated. “It will also impede ISIL’s ability to threaten #Turkey and the rest of #Europe and liberate some 35,000 – 40,000 people from #ISIL control." It will also impede ISIL’s ability to threaten #Turkey and the rest of #Europe and liberate some 35,000 – 40,000 people from #ISIL control. ​On May 30, the SDF, backed by the United States, began an offensive on Manbij located along the Turkish border. The forces have already secured the western lodgments of the Euphrates river, extending the defense line forward over 100 sq. km., according to CENTCOM. The US-led coalition of over 60 nations has been conducting airstrikes in Syria and Iraq against the Islamic State, also known as Daesh, since summer 2014. The terrorist group is outlawed in many countries around the world, including the United States and Russia.